This workshop uses beautiful hand-dyed velvet to create a tactile textile! A border is stitched onto canvas, the velvet is applied and stab stitched into place. 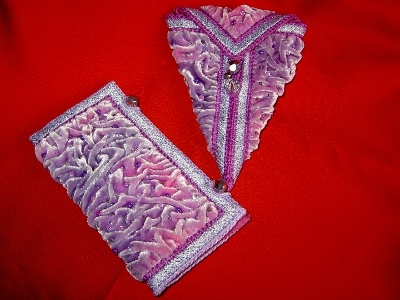 The finished piece can be made into a purse, a scissors case or a needle/thimble/tape measure case.